Our personalised Contigo range bring together functionality and simplicity to make high quality products that are usually seen out on high streets. 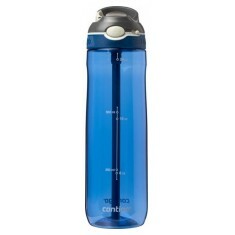 Our whole range can be branded with your logo alongside the Contigo design. This retail brand have made sure that all of our branded Contigo products in this range are designed for simplicity of use and to a high functionality standard. All of our range of custom printed Contigo products have large print areas and come in a range of colours. The entire range of promotional Contigo proucts is leak proof making it perfect for use on the go and the retail brand is sure to reassure your customers of receiving a high quality product. 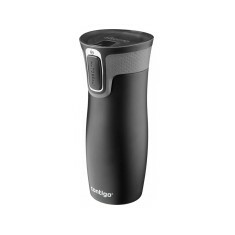 When it comes to taking your coffee on the go, our personalised Contigo Byron Travel Mug has an innovative snapseal technology so that when your finger is not on the button, the mug is completely spill proof. Branded to outer sides with your design, there is plenty of space to make sure your message is noticed alongside the contigo branding. If you’re looking for something more sports orientated, the customised Contigo Ashland Water Bottle has a clever push button straw release for when you want to sip your drinks. Want to check out the prices for getting your design printed? Add this product to the basket for a quote! 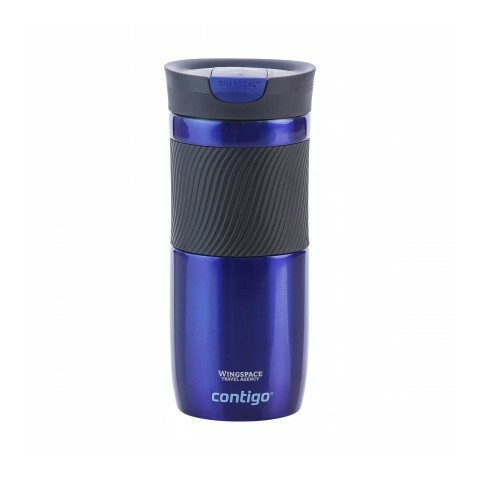 Official Contigo product. Push button straw mechanism. Lock button. Leak proof.